If you still need convincing read some of these accounts from students accessing higher education. Go to ALERT (University of Bournemouth) and DART (Loughborough University) and the most recent JISC funded research at LExDis(University of Southampton) to sample the student experience first hand. The defection from Twitter to Yammer has been interesting; a few weeks ago we were twittering away then along came Yammer. It not only attracted a greater number of UL employees but those with dual status seem to have gradually moved across and deserted Twitter in favour of Yammer. There’s a noticeable decline in Facebook contributions too. It seems that one is enough. Two is too many. Is this the nature of Web 2.0 tools? The flavour of the month is easily replaced by a new taste. What will take over from Yammer? There must be something equally new and addictive just waiting in the wings. Is the Facebook bubble bursting? Or does social software always contain its end in its beginning (to paraphrase T S Eliot). Designed for ‘social’ purposes, a hidden agenda is being identified. Among all the hype and the proliferation of ‘friends’ it’s refreshing to hear the other side of the Facebook story from those who no longer use it – and some of the reasons why. I like the word cloud effect at Wordle. It’s great fun and useful for highlighting key issues in a document. But beware – the back browser button will take you to the home page and the forward button the create page. If you see a word cloud you like then save it quickly – or do a screen grab like I did here (click onto the image for a closer view). 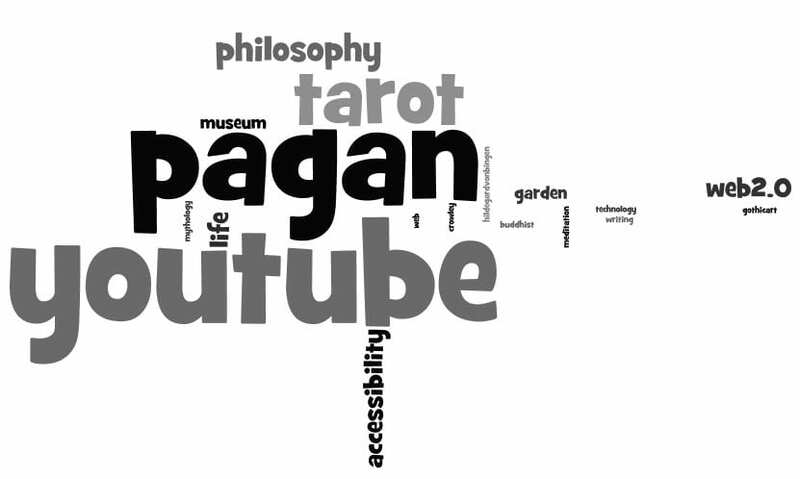 These are my Delicious tags – as you can see, I use You Tube quite a lot! The message I took from Rethinking the Digital Divide is that the divide is increasing rather than getting smaller. It’s no longer just about access to the technology, its about what you do with it when it’s in your hands. Research may show that the majority of learners own mobile phones – but that their owners are confident with using them is still largely an assumption. Also some of the sessions I attended showed that access to education remains problematic for many, including people with disabilities, those in prison, in the workplace, in communities. In prison the technology disables rather than enables; the OU now delivers content via the internet. The majority of prisoners do not have the internet; education is the bedrock of rehabilitation and they are denied access. The debate over accessibility of online resources and the use of assistive technology continues – yet there were no exhibitors at ALT-C from any screen reading or text to speech software companies, or organisations such as Ability Net or the British Dyslexia Association. I was disappointed that a conference on digital divisions appeared to have so little on inclusive design or holistic approaches to accessibility and the debate around alternative versions of multimedia and animation. It would have been good to have daily workshops on practicalities such as adding captions to video, demonstrations of assistive technology or what the open source movement is doing to support accessibility. I wonder how much the learning technologists themselves are responsible for creating a digital divide; do we forget that those whose learning we believe we are enhancing are in a different place. They may not share the same level of access to the technical gadgets and wizardry, or the skills to use them to their full potential. Again, having the technology is not the same as being confident and skilled with using it and I do sometimes wonder if herein lies the roots of our digital divisions. Eduserv’s latest Snapshot (May 2008) gives an insight into current HE activity in Second Life. For a short cut check out these slurls for the University of Leicester’s Media Zoo, and the University of Coventry home of the PREVIEW project which is using virtual problem based learning tutorials for medical training. If you are going to be net savvy you need to get organised. Bookmarking and RSS feeds are the key. Choose a feed reader you can access from any computer such as Netvibes or Google Feed Reader. Make your feed reader your home page; it’s the best way of engaging with your updates on a regular basis. I like the drag and drop functionality of Netvibes. For bookmarking sites I use delicious. Adding the delicious extension to Firefox means I can bookmark, tag and access my delicious folders within my browser. I then feed my delicious account into netvibes; ditto with Facebook, Twitter and any other social networking sites plus my favourite blogs and news webs. Everything is all in one place making Netvibes my one stop internet shop and a valuable life raft which keeps me afloat in the Internet ocean. I attended the Stepping into Literature conference in Second Life, organised by Learning Times. This was an all day event designed to investigate the effectiveness of immersive environments as teaching and learning tools. Do 3D sims have affordances for disinterested students? How ‘sticky’ is Second Life? The JISC report Learning in Immersive worlds prepared by Sara de Freitas suggests that the game and simulation based learning has the potential to transform the way teaching and learning is developed. After the Stepping conference I felt I had ‘learned’ on so many different levels. What ever your discipline; student, teacher, technologist, designer, librarian – I think it would be hard to deny that virtual immersion can be a powerful tool in the learning process. How long does it take to produce one hour of online content.Bryan Chapman has come up with some ratios which make interesting reading and Clark Aldrich takes this one step further. For everyone who thinks uploading their 50 minute lecture notes creates an online learning resource this may be a shock. As a general guideline it will always take longer than you anticipated and generally cost more than you budgeted for. But there’s no direct trade off between the amount of time/cost and the value of the result. In terms of teaching and learning sometimes it is the simplest idea which is the most effective. Those which cost the most in both time and expense may lay unvisited or unclicked. Twitter tells other people what you are doing – in 140 characters or less – in the moment in which you are doing it. Quite Zen really. I’m not sure about its value. It seems to do far less than other social networking tools; a case where less isn’t necessarily more. Maybe it’s more about harnessing Surowiecki’s wisdom of the crowd – or O’Reilly’s ethos of the more you use it the better it gets; the ‘harvesting of collective intelligence’. But even if I used it more, with a greater number of people, I’m still not convinced I would find any intrinsic value. I’m interested in synchronicity and whether or not – as Jung maintained – it is meaningful – or it is pure coincidence. I think that the Internet enables synchronicity – the greater the amount of available information then the greater the chance of finding links you can impose meaning on. I’m cynical. Belief is personal – we believe in what has resonance; universal truths are hard to quantify. But here is a trail that nevertheless intrigued me. I hear about the tv series The Wire. I don’t know anything about it but it sounds good. I check my daily rss feeds. I follow a link about learning new skills in elearning technology. I notice an Edublog Winner logo so I revisit the Winners 2007 page. I scan over the 14 blog links; I’m drawn to best new blog winner and it’s title dy/dan – there is no additional information – I’m intrigued by what it doesn’t tell me – I find an interesting alternative blog mixture of video and podcast – I scan down looking for text (I’m in a rush – I don’t want to watch or listen) and I see a link called The Truest Thing I’ve Ever Watched Or Written. Again, I’m intrigued – and this link it takes me to a post all about – The Wire! I thought I was the first to use the word but I’ve now come across ‘bloggage’ several times. @iandelaney uses it on Twitter. bloggage.me.uk is a blog title from Jimbo in Shoreham. The domain name http://www.bloggage.com is live but lacks content; is a website for bloggage verging on oxymoronic? Do I do bloggage or do I produce it? It feels a bit like luggage – containers of personal artifacts – which can then be disconnected through the links of strangers and sent to far flung places. bloggage.me.uk has ended up here at learninglab.lincoln.ac.uk. I’m following @iandelaney on Twitter (although it feels uncomfortable, like virtual stalking). Or maybe bloggage is more like traffic. Where the blogs are the cars and bloggage is a conglomeration of them; a multi storey car park, or a traffic jam, or even a scrap heap of rusted unwanted vehicles; after all there are more unread blogs than read ones, more blogs are dead than alive. Blog rot is endemic. But however you interpret it, bloggage is a phenomena; indicative of Web 2.0 technology which gives individual voices the opportunity to be heard. To me, bloggage is the Internet in action; real people engaged in virtual communications – even it they are mostly talking into a digital void. It is a fact universally acknowledged that every learning experience will somewhere include reference to a blog. If you are new to blogging and wondering what all the fuss is about, try the Guardian article The world’s 50 most powerful blogs(2008) and see Edublog awards for examples of educational bloggage. Blogging tools are easily available; free software includes WordPress and Blogger. If you have an internet connection then you too can blog. Blogs are Web 2.0 tools for self publishing – free of quality controls and censorship. They’re an example of the power of the internet to link virtual identities and personal life stories, to build virtual networks which may or may not translate into off-line relationships. So why do we blog? Is it because we can? Or we’ve been asked to? Or we’re being assessed and the marks count towards the end of year exams? Or is it evidence of CPD? Behind every behaviour there lies a motivation. This blog is a mirror that reflects my role in the Centre for Educational Research and Development at the University of Lincoln, UK. It’s not a reflective blog. I’m unconvinced that reflection should be located in a public arena. Nor is it a diary – for the same reasons. It’s meant to be functional; a Web 2.0 toolbox; a repository of bits and pieces of technologies; postcards of my virtual travels across the Internet. Although reflection has gone into this statement; it’s all behind the scenes; the blog is the end result not the process of getting there. To me, that’s what blogging is about. Project Gutenberg is a free collection of e-books which everyone can take part in producing. Volunteers are invited to scan or key in pages from books printed prior to 1923, or proofread scanned pages. Anyone can become a volunteer to help preserve history one page at a time. This is an excellent example of how the Internet enables virtual cooperation on an international scale. Distributed Proofreaders coordinate the project and offer a pre-registration online Walk Through demonstrating how it all works. There were some fans of Wimba software; Course Genieconverts Word documents into websites. I have a copy and it was reassuring to hear that the code it produces is functional.It also plugs into Bb – we should be investigating this further – in the scheme of VLE skills the next step on from uploading a Word Document is to convert it into web pages and incorporate the activities features.